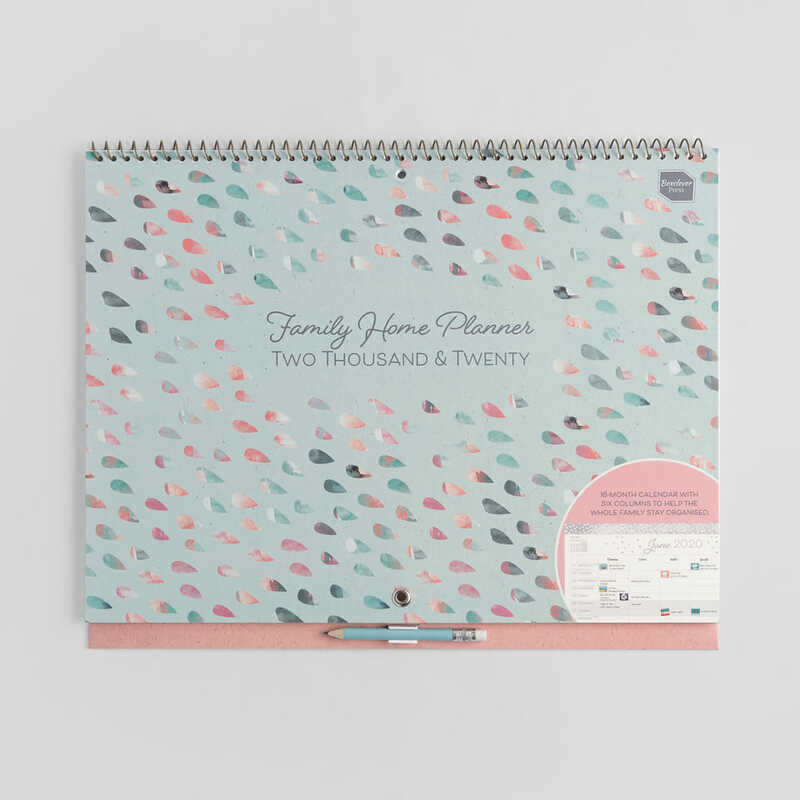 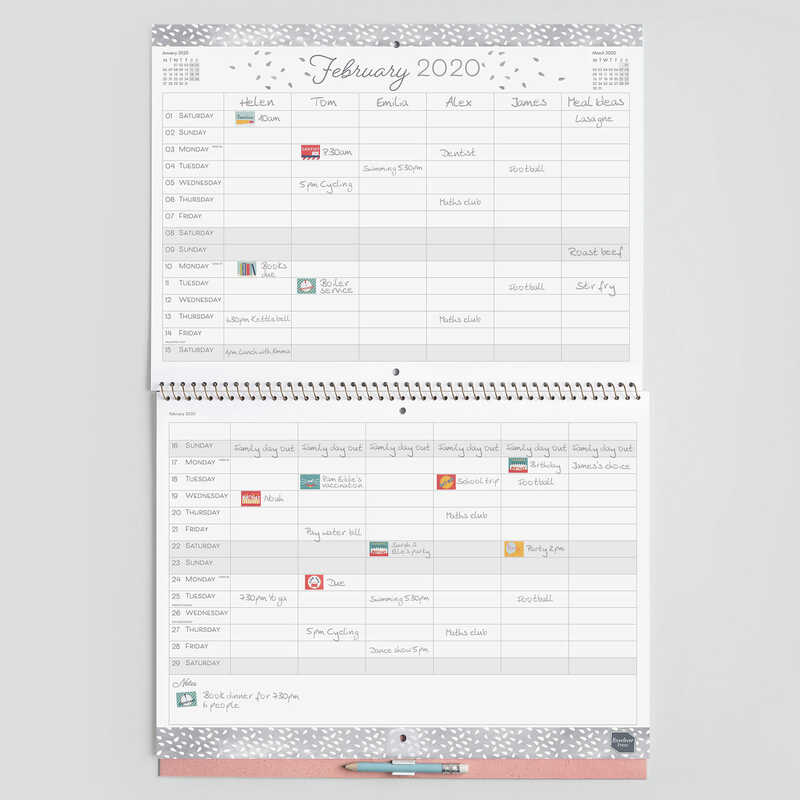 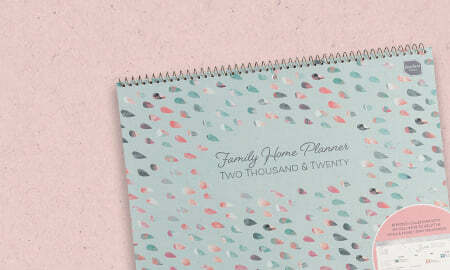 The 2019 - 2020 Family Home Planner, 16-month, month-to-view calendar offers spacious planning in a six-column layout. 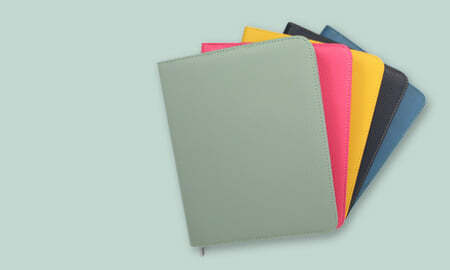 Large pages enable you to manage multiple schedules together. 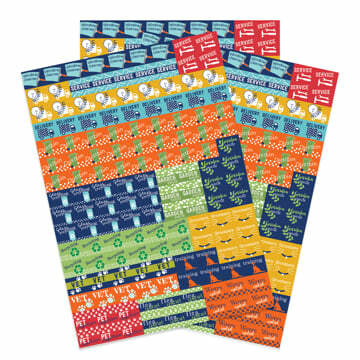 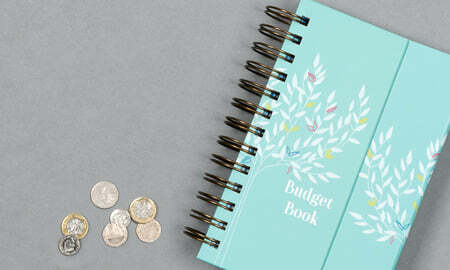 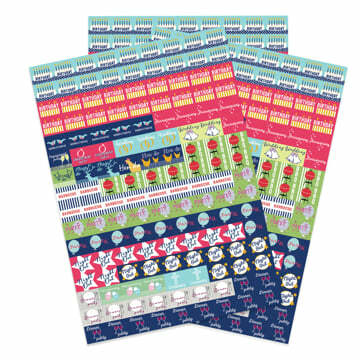 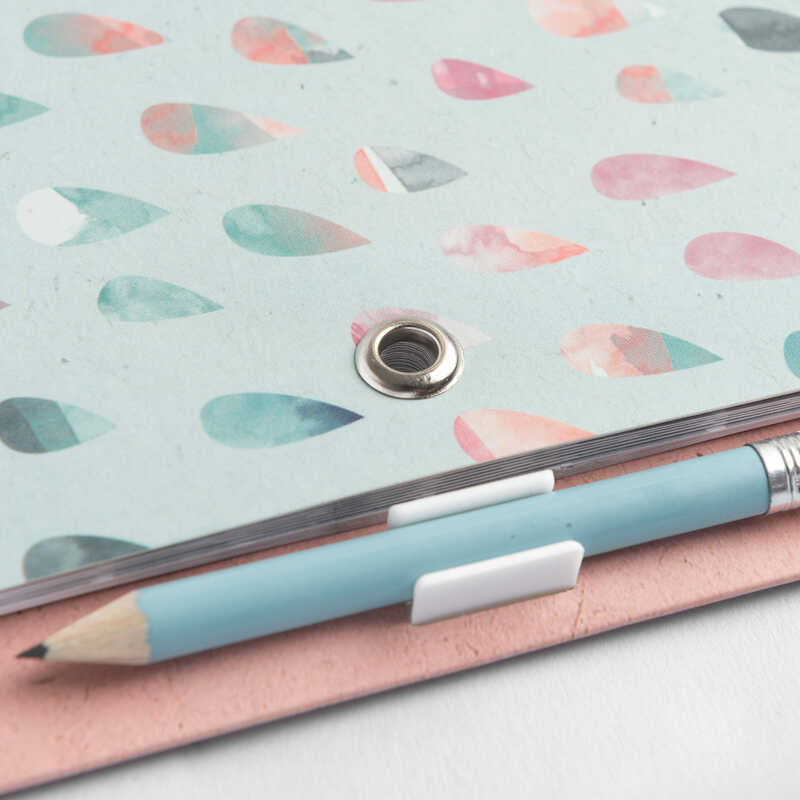 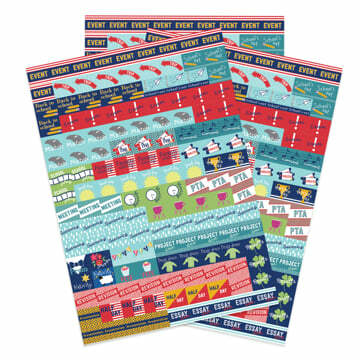 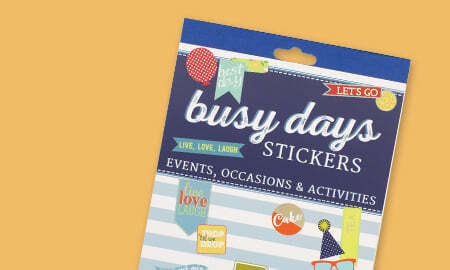 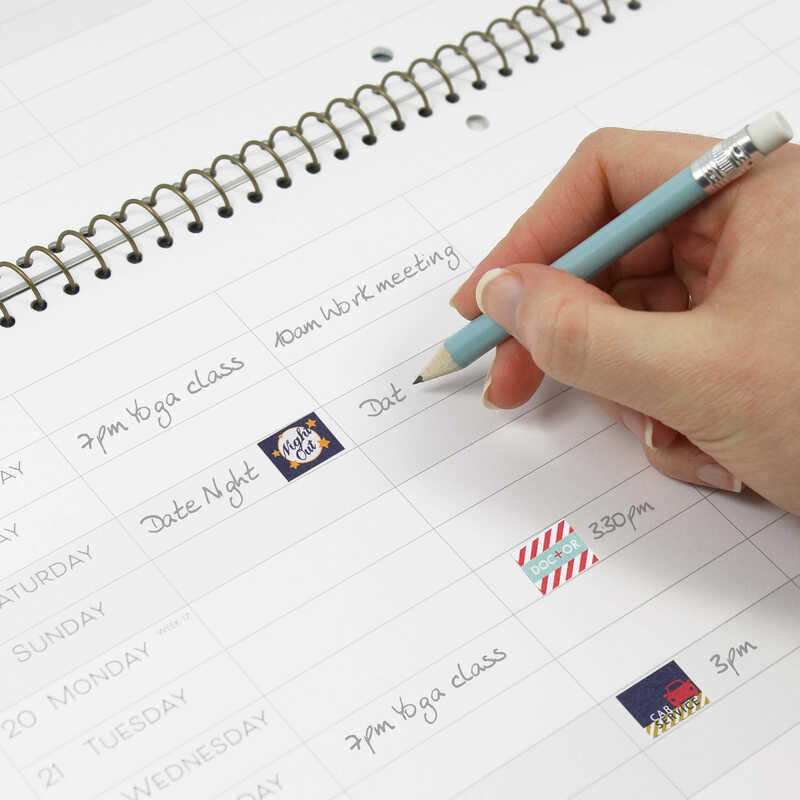 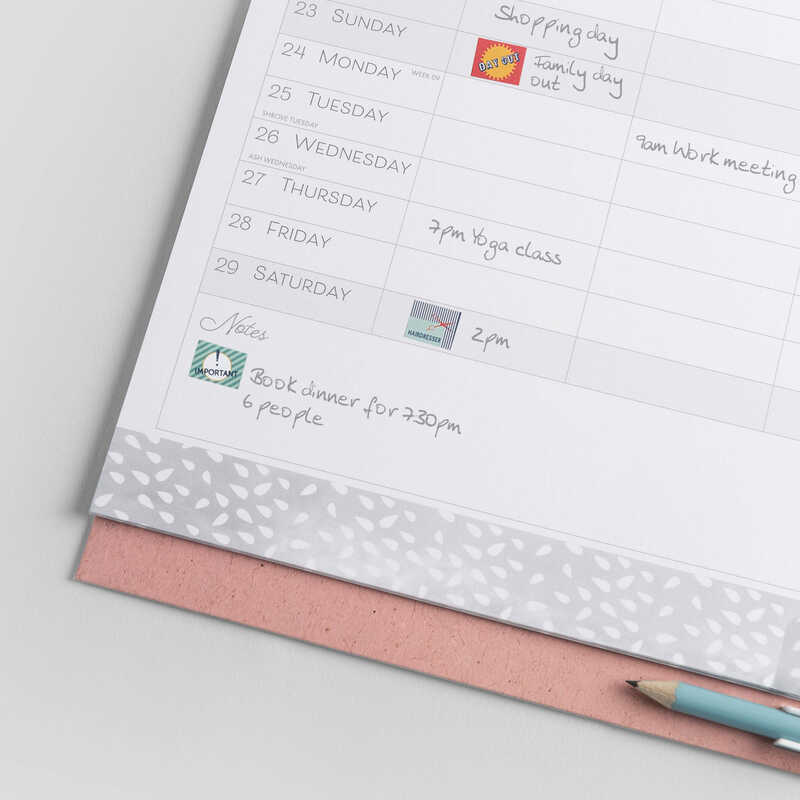 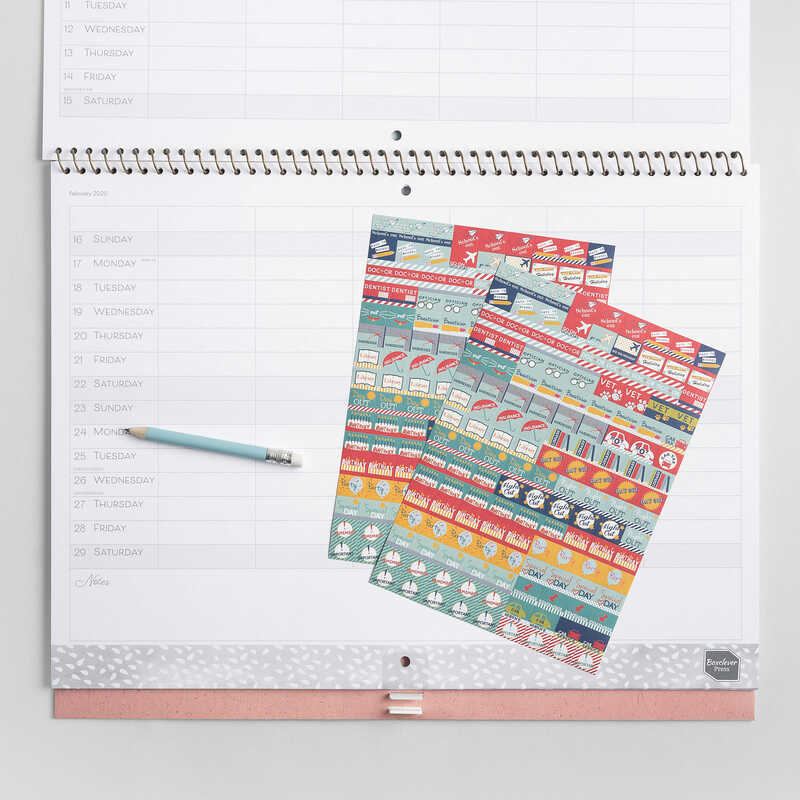 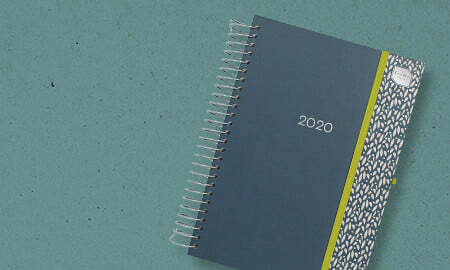 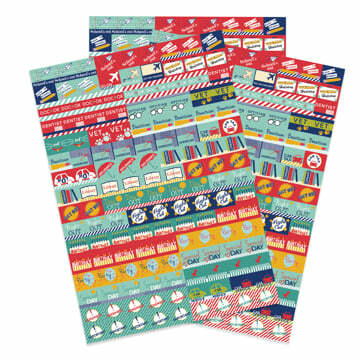 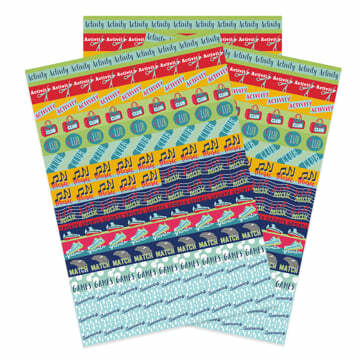 Make notes, write the shopping list and highlight important dates with colourful stickers. 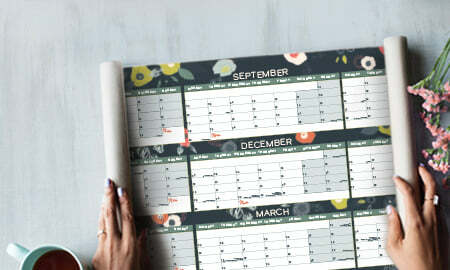 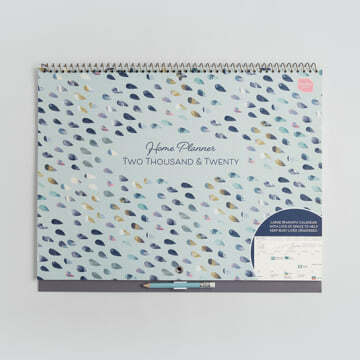 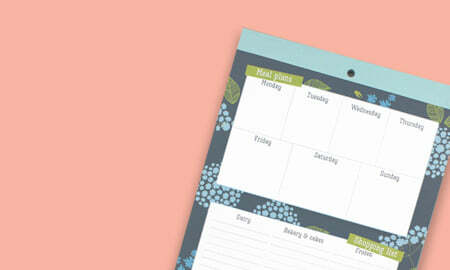 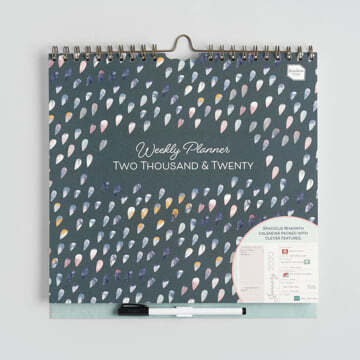 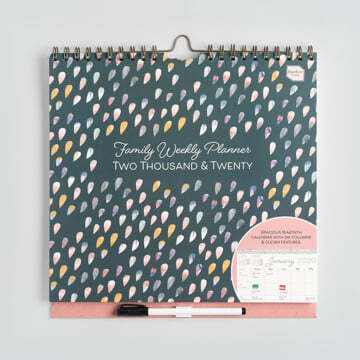 A clever calendar for busy homes! Manage multiple schedules in one place with this 16-month calendar ideal for families and busy households. When hung on the wall it shows the whole month over two pages so you have plenty of space to plan and can see all appointments at-a-glance! 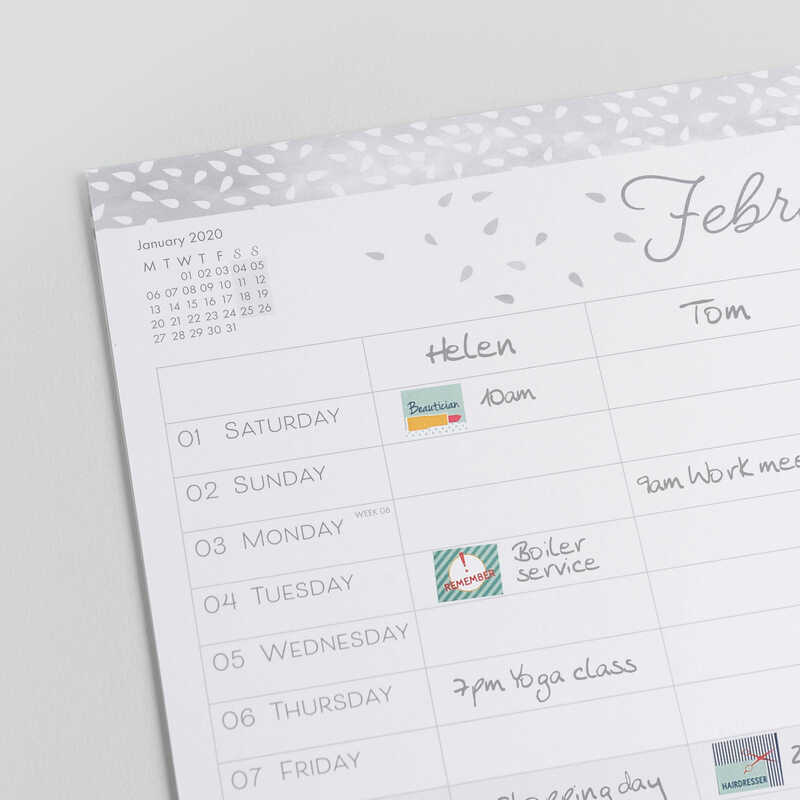 No more clashing schedules - see everyone's appointments together! 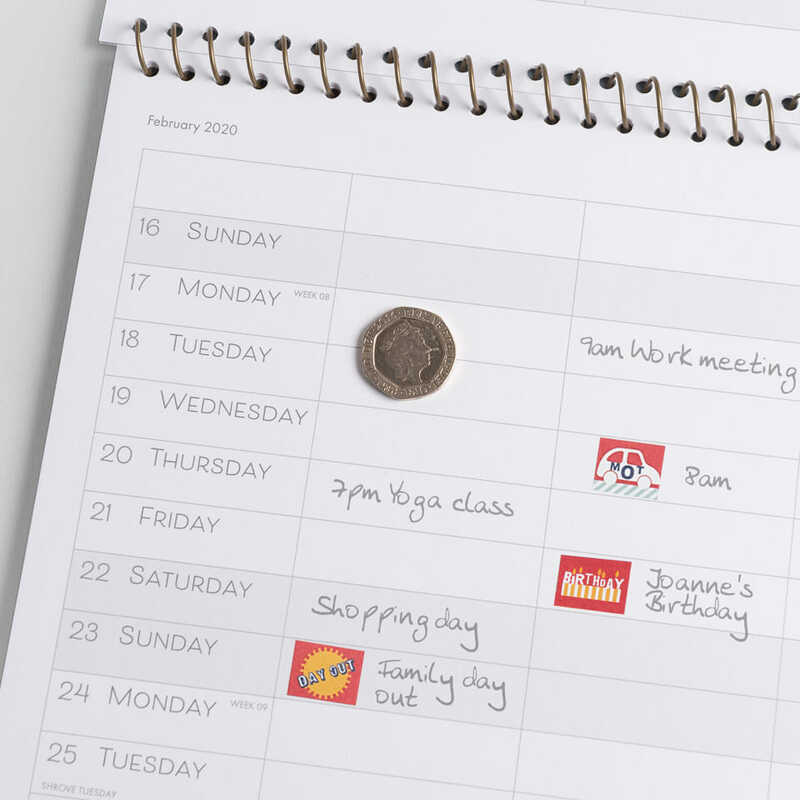 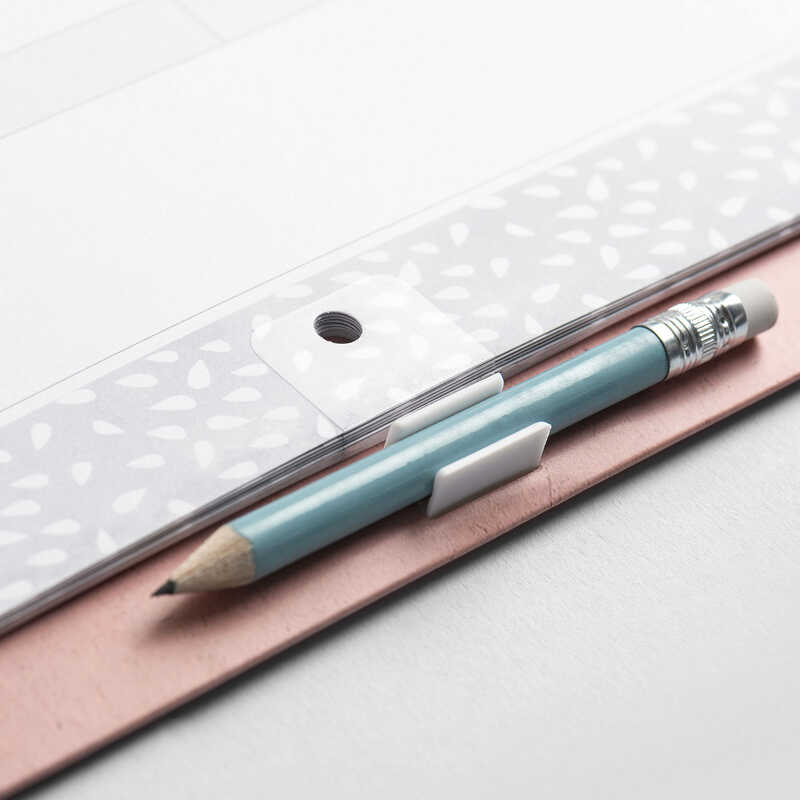 The helpful reminder stickers ensure you never miss a birthday again and the Clip-on pencil with eraser guarantees there is always something to write with in a hurry. 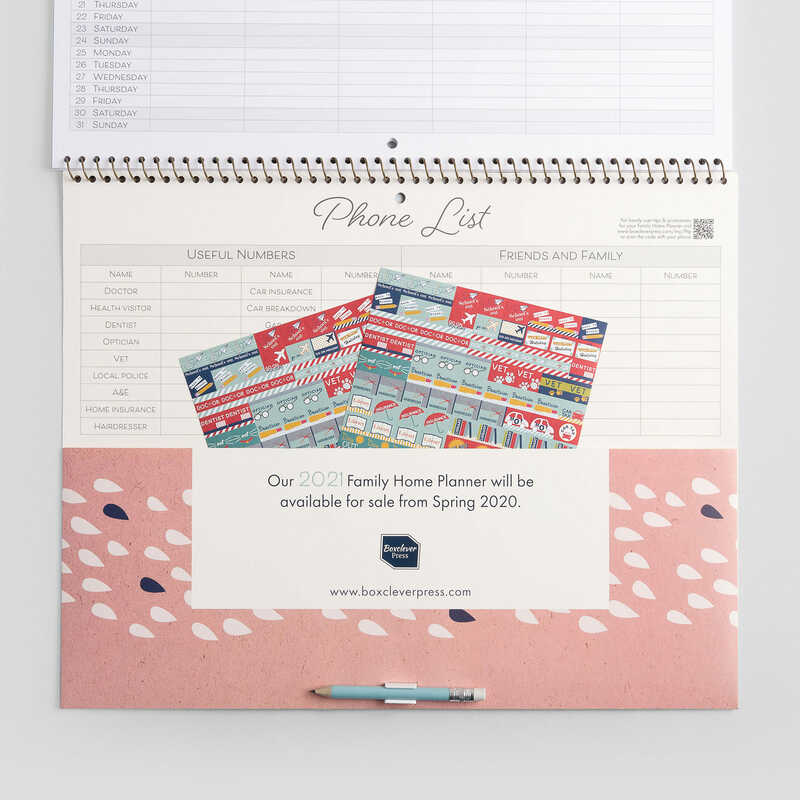 Great for busy families who require a large space to plan in a month format.